Nigerian Electricity Supply Industry (NESI) has revealed that the country’s power sector loses between N1.2 billion to N1.5 billion monthly to water, gas and transmission line constraints. According to data released by the commission, an independent body that undertakes the technical and economic regulation of the Nigerian electricity supply industry, the country lost about N108 billion during the first quarter of 2018 due to several constraints inhibiting the regular supply of electricity. For example, on the 25th of January this year, the sector lost an estimated N1.584 billion because an average power sent was 3,971mw, and 2,302.8mw was not generated due to unavailability of gas. About 417mw was not generated due to unavailability of transmission infrastructure, while 290mw was not generated due to high frequency resulting from the unavailability of distribution infrastructure, and transmission challenges. The power sector is plagued with structural issues in all key areas- generation, gas supply, transmission and distribution, while the operational capacity of the country’s power plants is less than a third of their installed capacity. Chronic vandalism has crippled oil and gas pipelines, creating gas shortages at power plants and underinvestment in maintenance and infrastructure has constrained the transmission grid. Babatunde Fashola, the country’s minister of power, works and housing, reiterated that the Federal Government is committed to providing regular and efficient power supply in the country. 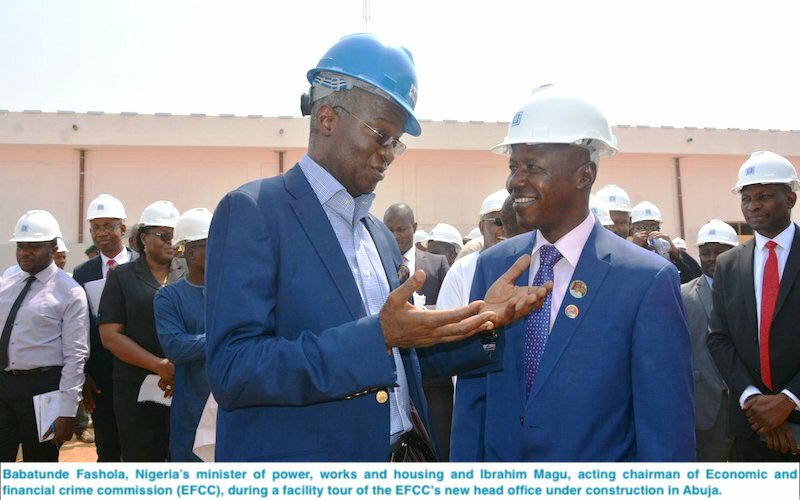 Fashola said, “While it is no longer news that we have reached a 7,000MW) Generation Capacity and have a 5000MW Distribution Capacity; what is newsworthy is that last month we met with Manufacturers Association of Nigeria (MAN), DisCos, and GenCos “on how to implement the Eligible Customer Policy and increase connectivity to the 2000MW that is available. He disclosed that the Federal Government had secured the World Bank’s approval for $486 million Transmission Company of Nigeria (TCN) transmission expansion funding, while progress is being made with the same bank for the Rural Electrification and Distribution Expansion Funding. He described solar energy as cleaner and more efficient source of power, stressing that in many states, solar power is being accepted and used, while consumers are already embracing the solar power generation plan, which is an initiative of the government to boost electricity. The minister said that the country was moving away from theorising about power to actual provision of efficient power to support trade and businesses, especially Small and Medium Enterprises (SMEs) who are the drivers of our economy, giving instances of projects like: the commissioning of a 73KW Solar Hybrid System to support mat production in a factory that employs 1,400 people, the Solar system being deployed in Sabon Gari Market, Kano State that has 12000 shops and the work that has commenced to connect and meter 31000 shops in Ariaria market in Abia state among others. The World Bank recently ranked Nigeria as the second largest country in the world after India and the first in Sub-Saharan Africa with more of her population without electricity.